for her son James V, and her absolute conviction he would rule Scotland as its rightful king. 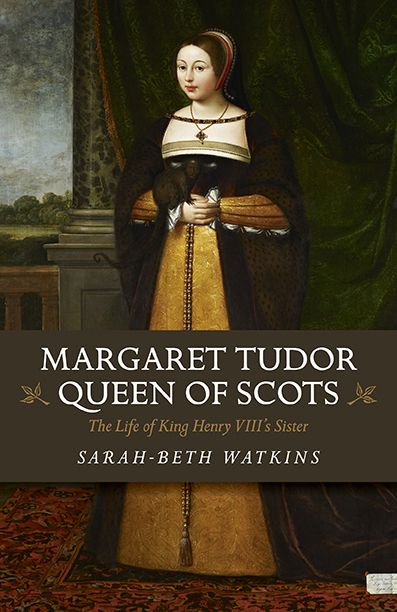 Margaret’s story starts off with a mundane feel, but the author, Sarah-Beth Watkins, reminds the reader that Margaret is a Tudor and so, of course, Margaret’s story is going to be full of drama—guaranteed! Watkins does not disappoint. She shows Margaret’s good intentions, poor taste in men, and exciting intrigue. At times, it is hard to side with our heroine, but the reader will feel sorry for her. But when all the shady characters and conspiracies meet, the reader is led to a satisfying finish and will conclude that Margaret was a remarkable woman, whose fight for her family’s future was worth it.